I remember when I thought I was an “App Warrior”. I would sit down on my personal MacBook and plunder through hundreds of Apps on the App Store. My mission was to find as many appropriate apps for fourth grade as I could find, and I had to find them for free. I was scared that if I didn’t get an app while it was free, I would lose the chance of our fourth grade team having the app forever. I have learned some lessons and little tricks from those days, and I have compiled a list of the top 9 FREE apps for grades 3-5. These apps could be used in upper grades as well because some of them are simply creation apps that allow students room for growth. So what did I learn my first year when I went app crazy? 1) Not all apps are awesome and applicable for education. Unlike my mother taught me, just because something is free does not mean you need to get it. How many multiplication apps did my 4th graders need that only covered 1-5 facts?!?! (I deleted a bunch of the 1-5 versions). 3) Companies have free app days. You will see that certain companies will offer apps for free the week before school starts and sometimes around Christmas break. I would definitely check on EveryDay Math apps and Itooch apps during this time frame. 4) An Ipad and an App are simply tools to help advance education. Do not babysit your students with apps. Allow them to create and think when using an Ipad. It’s not what you have, but what you do with it that counts. 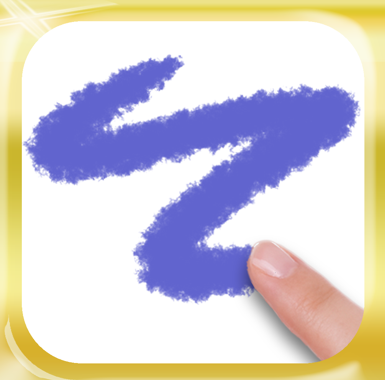 DoodleBuddy: I used to hate this app when I first downloaded it onto my Ipads. Some of my “less mature” students would add the icons that made noise and giggle to themselves. However, when correct expectations are front loaded and the students use it appropriately this is a great app. They are able to illustrate any story they write, add images to use as graphic features in organizers, and use it as a white board for any subject. My students made flowcharts and illustrated them using Doodlebuddy last year. PicCollage: This is great to use in the upper grades as a graphic organizer. You can choose the different frames to organize thoughts, flow maps, or complete vocabulary review. My students import illustrations they create in DoodleBuddy into this app. My students used Pic Collage to make graphic organizers and illustrate a writing last year. 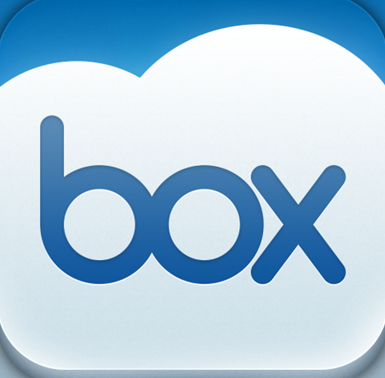 Box: In many of the paid apps (such as Keynote, Strip Design, and Book Creator) you can send and save completed work to Box. This acts as a store house for all of my kids work! Educreation: This is like a whiteboard, but students can record their voice and explain what they know about a certain topic. If you like this app, then you download a not so free app called Explain Everything. Educreation has some aspects of Explain Everything, but Explain Everything has MUCH more! My students were able to teach others with Educreations and Explain Everything last year. IBrainstorm: This is a MUST HAVE for all writing teachers. I love using this app as a way for students to brainstorm writing topics. I even have students use it to create four squares. My students really enjoyed using iBrainstorm last year. Virtual Manipulatives! by ABCya: This is for any teacher that has to teach decimals, fractions, or percentages. I love this app because it has all the fraction bars without all of the little pieces. When you first open the app, it is a little overwhelming. Find the pointer finger that is pointing to the X, click the X, and the screen will be much easier to navigate. The students can screenshot any image they create and send to Pic Collage or another app. You can use this as a whiteboard for your classroom as well! 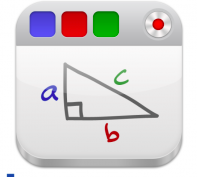 My students enjoyed converting fractions with this app last year. 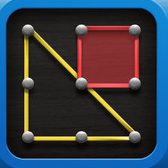 Geoboard: This is simply a geoboard for the Ipad. No more kids popping each other with rubber bands in your class! This is great for talking about 2D figures and for doing arrays with multiplication and division. The students can screenshot any image they create and import it into Pic Collage or use another app. Within the app there are two boards. One board is a 5X5 and the other is a 15X10. Slide the screen from right to left and visa versa to change boards. My students used this app to create images to upload to Educreations and Explain Everything last year. 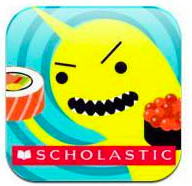 Sushi Monster: This is one of my students’ favorite games to play when learning math facts. It allows students to find the factors of a number. If they choose the two correct numbers, the monster eats the sushi. If not, the monster gets frustrated. The students can work with addition or multiplication, and as the students progress the facts get more challenging. I dare you to play this one yourself without getting sucked into playing the game for 20 minutes! Spelling City: If you go on the spelling city website, you can load your spelling lists for the year. Now, to work this the “free way” your students will have to login inside the app with your email and password. If you want to pay for a subscription to Spelling City it will allow students to sign in individually and you can track their progress. I like the free road, so all of my students sign in to access our spelling words. Once they access your list, they can play hangmouse, missing letter, alphabetize, or they can take a test. 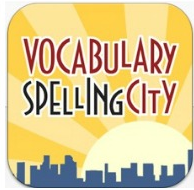 This is a great review app for spelling words! One of my kiddos even asked her parents to download this on their family Ipad! Please don’t get upset if your favorite free app is not included in the list! Instead, share your favorite free app with me. I could probably make a part two of this post on my own, but I love hearing about new apps to try as well! I would appreciate it if you would share or like this post. Comments and Questions are welcomed as well! « If pinning for my classroom is wrong, I don’t want to be right.